It’s official! 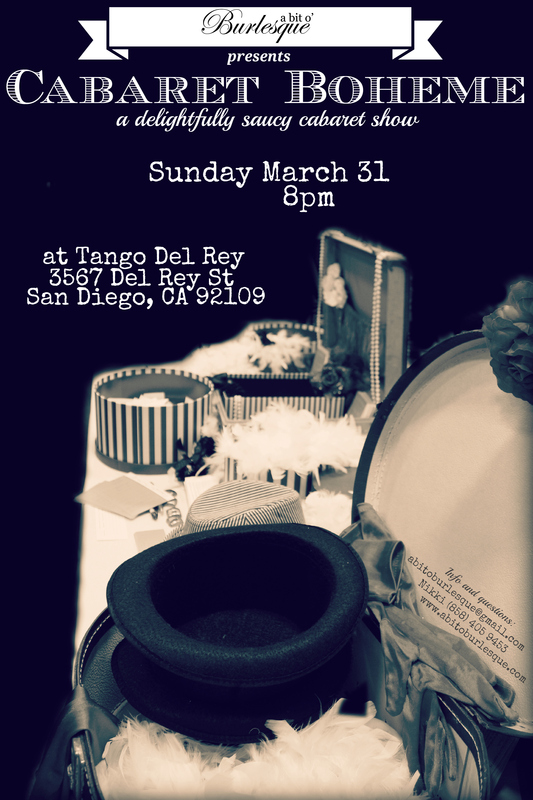 We’re having a scintillating cabaret show on Sunday March 31 at 8pm at Tango Del Rey in Pacific Beach. More details to come soon but save the date in the meantime!